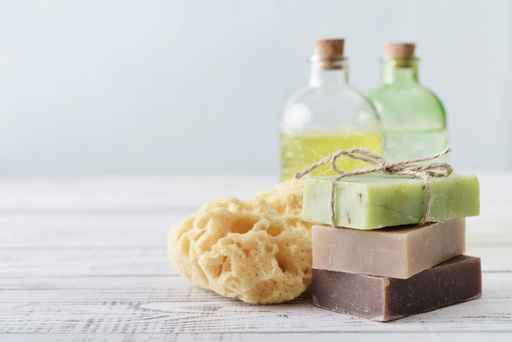 Want to learn to make all sorts of soaps but don't know where to begin? Learn what soap is, and the different ways its made. Experience a dozen carrier oils and butters, enriching and essential oils. Not only that, but this hands-on workshop will have you creating nourishing concoctions with natural ingredients that are safe for everyone in your life. You’ll come away with newfound knowledge and expertise, armed with recipes and soaps for every purpose! * Cold Process Soaps - made with ethical alternatives to palm oil! Tracey is a fantastically knowledgeable teacher...I love learning from her and knowing more about how to take care of myself and my family. Her workshop was well structured with a nice little sample of what we made to take home, plus information on how to make up my own recipe next time. There may be one or more subsidies available thanks to the Co Immunity Fund. If you can't afford the full fee, please tell me what you need in the comments with your order, and why you need a subsidy. I will get back to you ASAP to discuss options for a payment plan and what is affordable for you. You must make a minimum contribution of $50 to cover your materials and take home products. Giving you a subsidy depends on monies available and your need relative to other students. Please seek out other sources of support FIRST. Anarres Apothecary, 1076 Bloor St West, Toronto, Ontario, Canada M6H1M6. Please e-Transfer money to Tracey AT Anarres Health DOT ca. Make the answer to the secret question your unique order number, for example, "Order12345" or "Order36415"
Repeats every 6 months on the second Sunday until Tue Dec 31 2019 . Choose how and when you want to pay from the options.